For an easy monthly dosage, we recommend Bayer Animal Health’s easy-to-use product with its effective formula. If you’re not a fan of reoccurring dosages or oral treatments, this flea and tick collar is an excellent alternative. Continuous coverage lasts for eight months. Not only does this shampoo eliminate adult, larva, and eggs, but it has several ingredients that work to soothe and relieve your pets from the irritating bites they have. We love this shampoo, and we love the price! When your sweet, feline friend starts getting itchy and uncomfortable, it might pique your curiosity. If you take a closer look, you may notice the fleas bouncing around her. The biting insects may have found her warm body to use as a home, but don’t fret – there are many things you can do to protect not only your cat but your home. Fleas actually prefer cats to other animals – although they will certainly take up residence on dogs, human, and others. Fighting fleas on cats and kittens is a bit different than treating dogs, so it’s important to have the right tools and methods to do so. We have compiled a small selection of what we feel are the best products out there for treating your cat’s flea problem. Read on to get a better idea of how you can help your precious pet. Kills flea eggs, Larvae, and Fleas. Some reports saw loss of fur near application area. Made for small cats, 5 to 9 pounds. For cats 8 weeks and older. 2 pre-measured doses per pack. Active Ingredients are Imidacloprid and Pyriproxyfen. 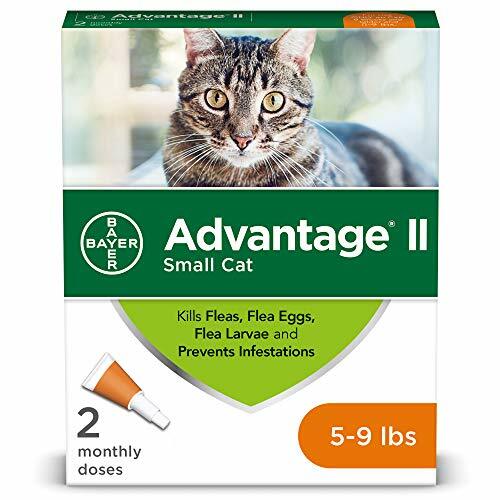 Bayer Animal Health Advantage II works to get rid of the fleas on your cats by using two active ingredients. The first of these ingredients target and attack the adult fleas’ nervous systems, paralyzing and killing them. Repels as well as kills. Some cats may react badly to collars (bald spots and abrasions are possible). Active ingredients are Flumethrin and Imidacloprid. 1 or 2 collars per pack. 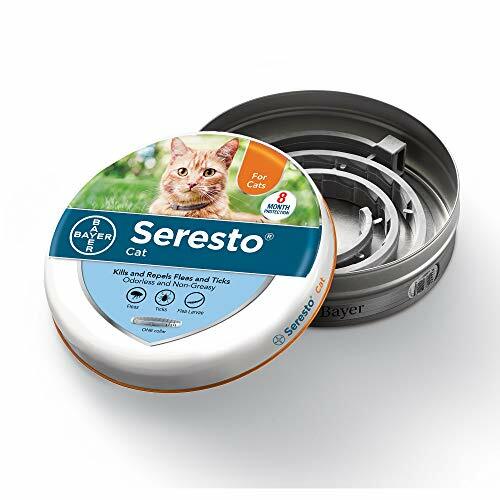 If you are looking for good long-term protection, look into the Bayer Animal Health Seresto Flea and Tick Collar for cats. Made to fit all weights and sizes, this collar gives you up to eight months of protection from both fleas and ticks. Kills adults, larvae, and eggs. Will not eliminate in-house flea problem. Active ingredients are Methoprene, Pyrethrins and Piperonyl Butoxide. 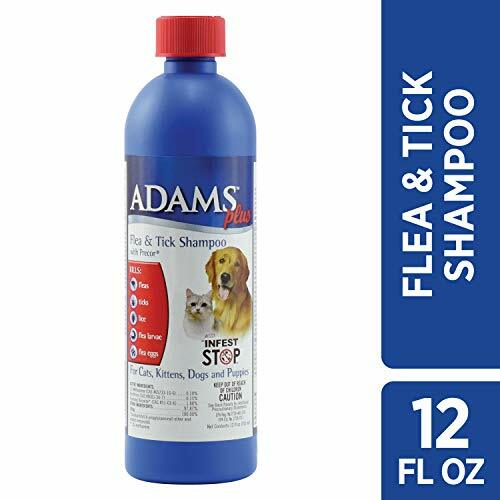 The active ingredients in Adams Flea and Tick Shampoo kill fleas and ticks along with their larvae and eggs. The long-lasting formula provides up to 28 days of control and can be used on cats, kittens, dogs, and puppies. Kills all stages of flea life. Repels additional fleas and ticks. Active ingredients are Etofenprox, Methoprene and Piperonyl Butoxide. Use on cats and dogs. 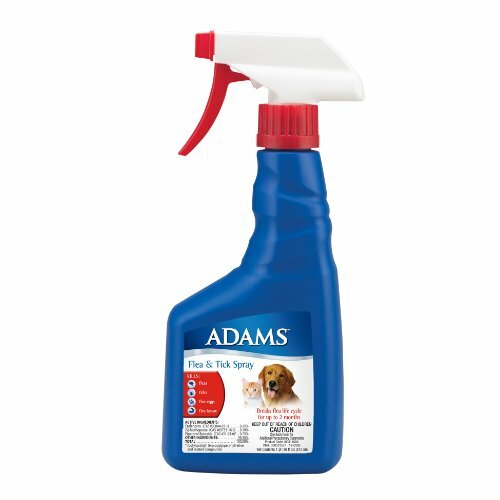 Used for both cats and dogs, the Adams Flea and Tick Spray is designed to kill adult fleas as well as their larvae and eggs. It has been developed to break the flea life cycle for as long as two months, giving you long-term protection. Kills fleas, ticks, and lice. Some pets may be allergic – use caution. Active ingredients are Pyrethrins and Piperonyl Butoxide. Use for cats and dogs. An easy-to-use powder, the Zodiac Flea and Tick Powder is a simple shaker that distributes powerful flea and tick fighting ingredients across your cat’s skin. 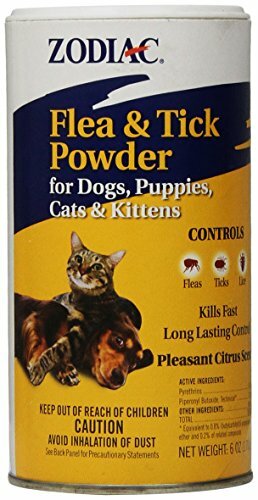 Without using a lot, you will notice that the powder kills fleas quickly while also fighting ticks and lice. Fleas actually prefer cats, and getting rid of them on a feline can be different from getting rid of them on a dog. When your cat catches fleas, it can be easy to panic a little bit. Not only are the fleas threatening to infest your home, but you know that your pet is suffering from their constant biting. Sometimes all it takes is a little bit of basic knowledge to help you fight off these irritating creatures. Read on to become more educated on how you can help your feline friends. Fleas are parasitic insects, meaning they live off of other creatures. In the case of fleas, these other creatures can be anything with warm blood. They do not discriminate – where ever they can find a feeding source, they will stay. This can mean pets like dogs, cats, rabbits, etc., or it can even mean humans. Fleas go through a life cycle that is similar to a lot of insects. The adults lay their eggs, and the eggs develop until the larvae are ready to come out. Once they do, the larvae evolve through various molts before they spin themselves a cocoon. The adults eventually come out of these cocoons. Most commonly, if the stage is set correctly and conditions are ideal, this process takes about 21 days. However, it doesn’t have to. Fleas are different from other insects in that they can essentially hit the pause button on their life cycle. If the conditions are not ideal to move to the next stage, they simply won’t; they will wait. This is one of the reasons why people have such a hard time getting rid of fleas. It’s also why it is important for you to get a long-lasting solution rather than short-term. A female flea can lay as many as 50 eggs every day. While the average is about 20, that is still more than enough for one female to cause a major infestation in a short amount of time. With excellent mobile skills, fleas are known to be able to jump more than 150 times their body length. This is what allows them to jump onto larger animals like dogs. Fleas are harmful to animals because their bites are itchy and irritating. However, some pets can also develop an allergy to flea bites. Additionally, fleas can transmit diseases that are harmful to humans because they carry bacteria. In young kittens, fleas can be extremely dangerous. Large infestations around small kittens can cause the kittens to become very ill. Your kitten could develop an iron deficiency called anemia, and if it gets bad enough, it could even require a blood transfusion. Fleas actually prefer cats, and getting rid of them on a feline can be different from getting rid of them on a dog. Let’s be honest – which do we think would prefer a bath more: a dog or a cat? The answer is definitely not the cat. Although you can certainly bathe your cat, you may want to use a different kind of treatment like an ointment or a powder. Something to look out for when your cat has fleas is tapeworms. Fleas can carry tapeworm eggs, and since cats regularly groom themselves, they are at high risk for ingesting these eggs. You are not only looking for signs of fleas now but tapeworms in your cat. Cats also tend to be more temperamental than dogs. You could have the world’s sweetest cat as your pet, but the irritating bites and itchiness can bring out a side you have never seen – one that hisses, swats, and defecates in your home. It is extremely important to ensure that a mother cat is flea-free. A mother cat is not just caring for itself, but for newborn kittens. Newborn kittens cannot be treated with topical flea treatments. Since they are so young and small, it is likely that a flea infestation will quickly cause anemia. Anemia on such a new and fragile life can become deadly. What may seem like an irritating problem for some can be a life or death situation to kittens and mothers, so be sure to take extra care in these situations.